Eleven years ago, in December, 1999, we managed to round up everyone and get to the mountains for Christmas. There was good health and good cheer in abundance, and we had an exceptionally nice holiday. 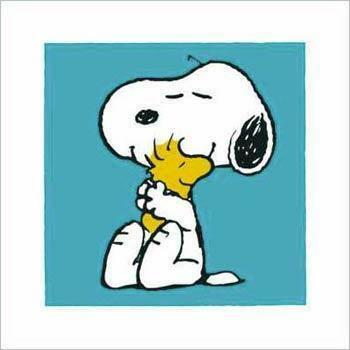 One of my gifts was a watch with this picture of Snoopy and Woodstock, which I still have, and which still evokes the memory of family and dogs, together, warm, and happy. 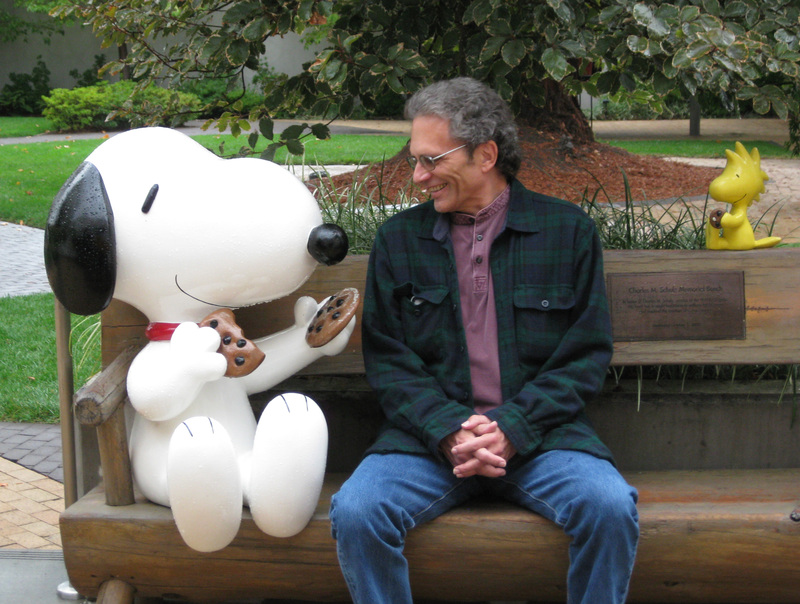 The man who gave us Snoopy and Woodstock died six weeks after that Christmas, in February, 2000. When a long-planned museum opened in his home town of Santa Rosa, it instantly became a desired destination, one of those spots I “definately had to visit someday.” Funny how many trips of thousands of miles we took, perhaps because they seemed like real vacations, before getting to this gem in our own backyard. The displays do a fantastic job of illuminating Schulz’s creative process. Anyone who has flipped through a Peanuts picture book has seen the evolution of drawing styles for Lucy, Charley Brown, and Snoopy, but this exhibit goes a lot farther. Schulz worked out ideas using doodles and notes, often on yellow legal paper, which he tossed. One secretary recovered these crumpled drafts from the wastebasket, took them home and ironed thm flat, and now several of them are displayed beside the published comic strips they inspired. We get to see themes, characters, and narrative styles that were tried and discarded, along with some of Schulz’s comments, like: “That was a bust,” or, “If I’d known then…” We really get to see how the Peanuts we know and love resulted from the fifty year struggle of a man with a lot to say in a very strict medium, who developed his own unique form of visual-verbal haiku. I just got up to fill my coffee cup and glanced out the kitchen window. 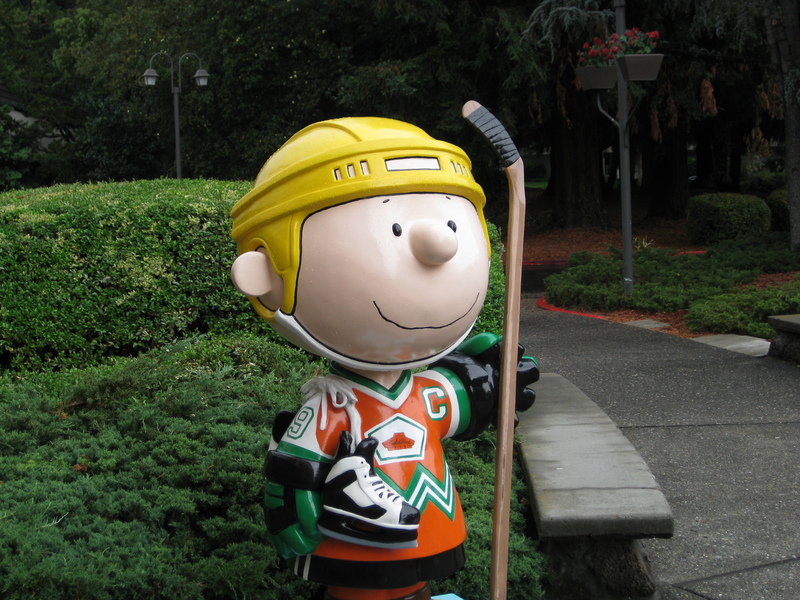 How many rites of autumn have been forever shapped by Charles Schulz? Leaves. Football kickoffs. Hot chocolate. World series pitchers (GIANTS ROCK!!!!!!!). 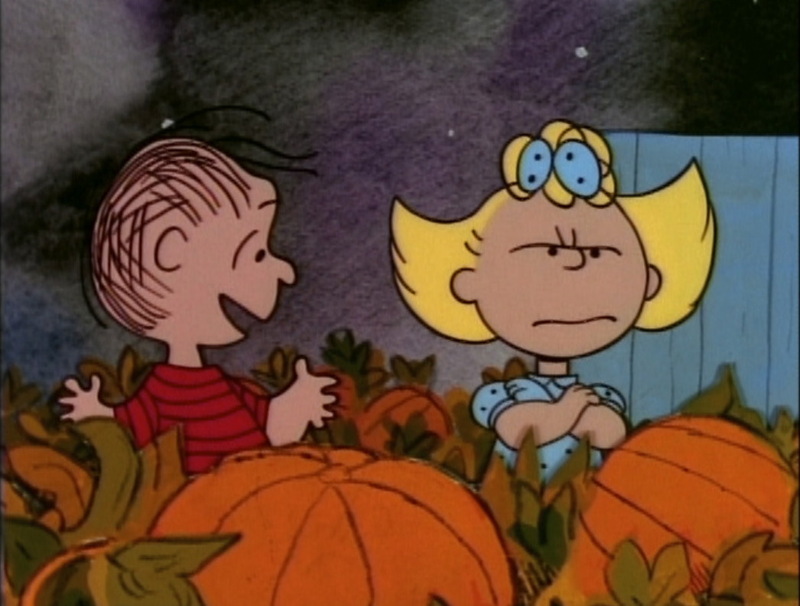 The eternal longing for the Great Pumpkin. And soon, our attention to the little orphan Christmas tree at the back of the lot, that nobody wants. One more hint if you visit: the burgers at the Warm Puppy Cafe are exceptional, better than any fast food I can think of. For those who can do it without breaking their necks, the attached ice skating rink is as fine as the rest of the facilities. Over by the door at the Warm Puppy is an empty table with a flower and a sign that says, “Reserved.” That is where Charles Schulz sat for lunch, where he watched the skaters and people passing outside. Where he dreamed and dreamed up a humble little comic strip that did things the medium hadn’t done before, and is still as much a part of starting the day as coffee. This entry was posted in art, Characters, Travel and tagged art, fictional characters, travel. Bookmark the permalink. Good grief, this is great. I love the Peanuts gang. Thanks for the tour.